Consolidated Edison officials responded Monday to a manhole fire in Queens that affected power in the area. 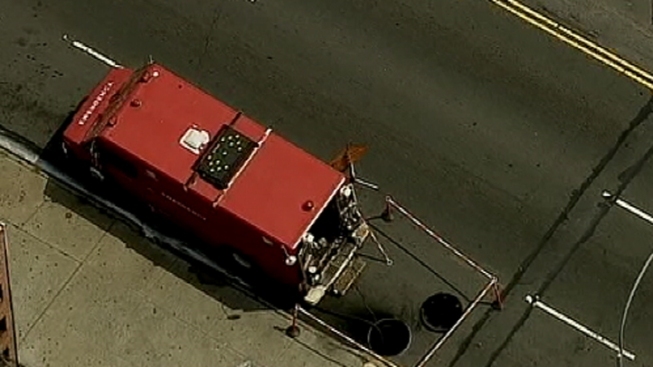 Smoke and flames were seen pouring out of two manholes at 51st Street and Northern Boulevard in Woodside, and at least one nearby building was evacuated. Batallion Chief Douglas Gehrt says the building was evacuated because carbon monoxide levels were feared too high. "The CO levels are dropping and we're monitoring it until we get it to acceptable levels," he said. Con Ed said four customers were affected. Utility workers were on scene to make repairs. The cause was smoldering cables underground, the utility said.